Summary: Shandong China Transport Group issued Spring Festival benefits for all the staff on the afternoon of January 21. Group''s leaders personally sent a share of Spring Festival benefits with full of love to every staff, and also delivered deep love and New Year''s blessing. Laughing to say goodbye to the past year, and lucky New Year comes in. 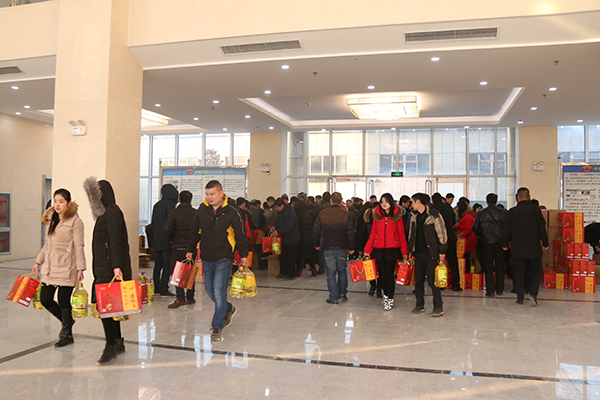 On the occasion of the Spring Festival in 2017, in order to express the Group''s love for each staff, and thank for those who worked hard for the Group''s business over the past year, Shandong China Transport Group issued Spring Festival benefits for all the staff on the afternoon of January 21. Group''s leaders personally sent a share of Spring Festival benefits with full of love to every staff, and also delivered deep love and New Year''s blessing. Before the issuance of benefits, all the staff firstly and orderly visited China Transport Group''s new e-commerce technology industry building. 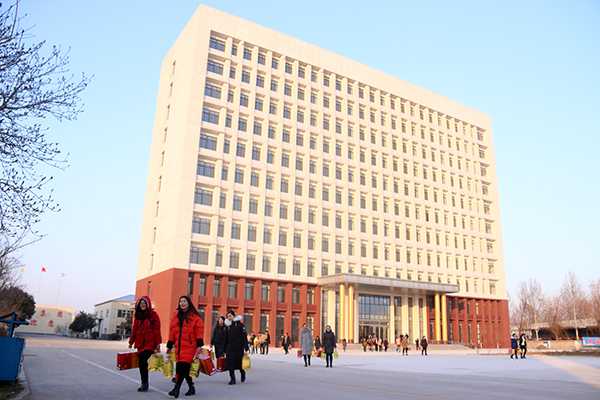 The building has a total of 11 layers and nearly 20,000 square meters, the appearance of solemn style, majestic tall and straight, the internal office environment bright and spacious, elegant environment, all the staff visited the building while discussing and full of hoping for the future of new work environment. Next, China Transport Group e-commerce technology industry building would have 50 companies settled, with annual sales income of 10 billion yuan, and solve the employment of more than 2000 people, then achieve "e-commerce building + physical commerce + logistics + R & D + online payment" linkage development. Jining city e-commerce demonstration base as a platform to build a set of commodity trading, intelligent terminal manufacturing, logistics and distribution, industrial services, exhibition expo, business office, comprehensive support, e-commerce training "eight in one", based on local and radiated to the country''s e-commerce demonstration base, provided convenient and efficient service for enterprises settled! Through the visiting of the new e-commerce building, all the staff saw the future work environment, not only improved the work enthusiasm of the staff, but also made all the staff have more confidence in the Group''s future development, and the same further strengthened the determination of staff to take root in " China Transport". 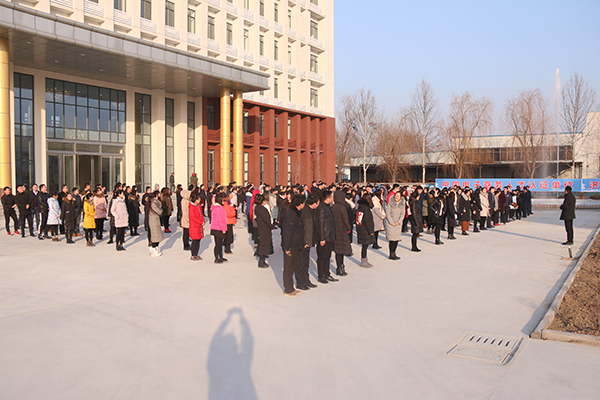 After the visit, the departments and companies orderly to the scene to receive Spring Festival benefits. When the staff took heavy boxes of welfare items from the hands of leaders, the heart deeply felt the leadership of the group for each employee''s love. A box of benefits represented the Group''s sincere greetings and blessings to every staff and family members, the group was filled with a warm and harmonious atmosphere in the festive atmosphere. Looking back in the past, we were proud of achievements, pleased for the harvest! Heavy benefits not only brought us the blessing of the New Year, but also brought confidence and full of hope and momentum to each employee''s heart! All the staff said that in the new year they would change the Group''s care into work motivation, make more contributions to the development of the Group with practical action! We firmly believed that in 2017, under the wise leadership of the Group, in all the joint efforts of China Transport members, China Transport would be able to re-innovation glory!